From our roving reporter on the scene…. The mounties have invaded Ocean Beach! 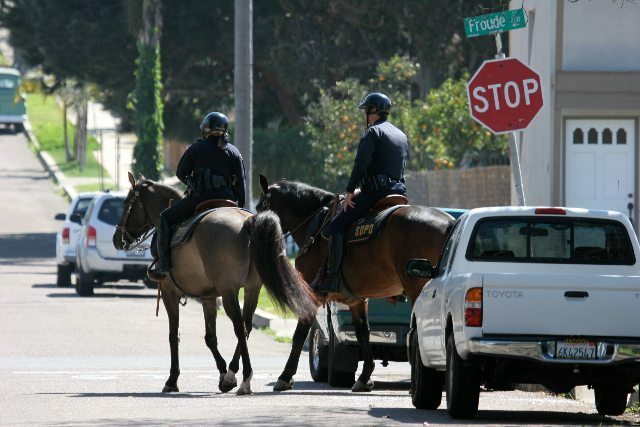 Mounted police officers were seen today in northeast Ocean Beach. No doubt patrolling for eco-terrorists, sandy scufflaws, of those who paint “stop Bush” or “stop the war” on Stop signs. Or budget woes for the San Diego Police Department must be bad, really, really bad. Now officers are being forced to ride herd on this traditionally unruly neighborhood of OB on the hoof. Has anyone else noticed the minefield of horse loafs that peppers the path along the river by Robb Field? 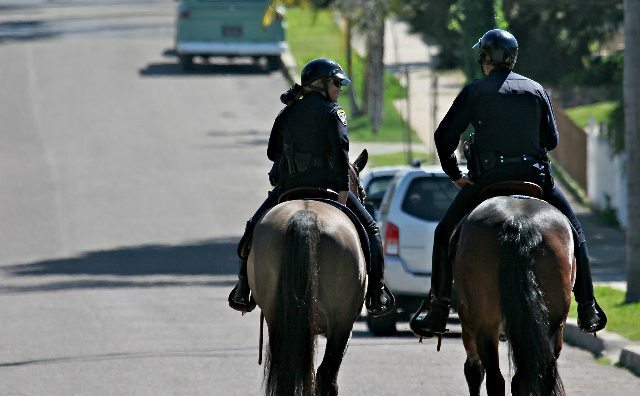 These cops need to start curbing their ponies and shoveling up after them. Oh, that’s a lot of horse malarkey!